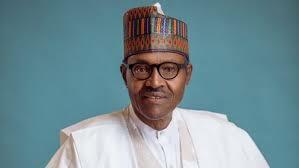 The National Bureau of Statistics (NBS) will have a new board as the Senate confirmed President Muhammadu Buhari’s nominees for the job. Those confirmed for the NBS board are Dr Kabiru Nakaura from the Northwest as chairman, while Mr Akinola Bashir (Southwest), Prof Moses Momoh (South South), Wallijoh Danladi Ahijoh (Northcentral), Adam Modu (Northeast), and Nwafor Paul Chukwudi (Southeast) were confirmed as members of the board. Their confirmation followed the adoption of the report of the committee on national planning headed by Sen Rabiu Musa Kwankwaso (APC, Kano). But the committee’s report was presented by the deputy chairman Yale Omogunwa (APC, Ondo) as Kwankwaso was not on the floor during today’s plenary.